By now, it is pretty obvious that Tesla is focusing on China for introducing of its fleet of vehicles and accelerating the adoption of electric transport in Asia. After all, Tesla's President of Global Sales & Service Jon Mcneill unveiled the Model X at the Beijing Auto mobile Exhibition back in April in front of 400 guests and stressed how their new SUV can save lives in Beijing thanks to its HEPA filter, claiming "the safest place to sleep in Beijing may be in the model X". Tesla began taking orders from China of the Model X back in February, while earlier this month, Chinese customers were able to order their optional accessories online, an indication that the first batch of deliveries to Asia will happen in few weeks as recently confirmed by its VP of Asia Pacific Ren Yuxiang. 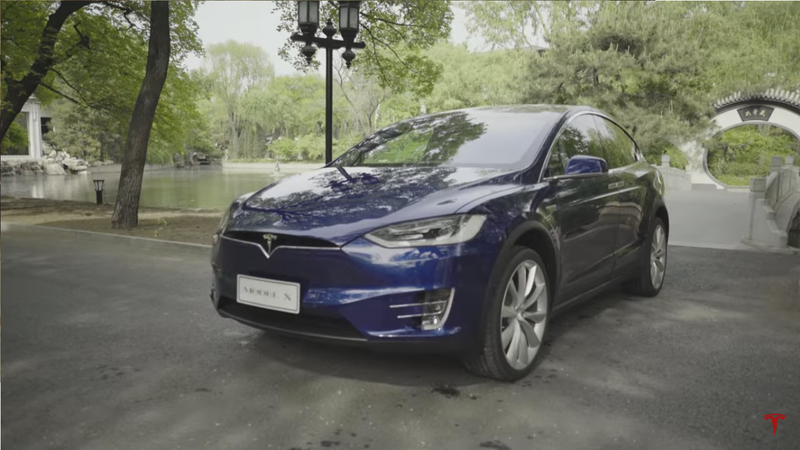 Tesla has yesterday published a promo video of Model X's grand welcoming to Beijing at the historic hotel Diaoyutai State Guesthouse which is used to house visiting foreign dignitaries and provincial government officials. Earlier this month, Tesla signed a deal with Beijing's municipal government at the Beijing Auto mobile Exhibition. General Manager Zhu Xiaotong announced that the company's operational headquarter will be located in the capital where its first Chinese Store opened back in 2014 adding that the company will increase the number of its stores in the country from 17 to about 30 by the end of the year. Yuxiang also indicated that the company is mulling opening a factory in China "stimulated by the impressive number of orders of Model 3, we are now making a new capacity plan as many of these orders are from Chinese customers." he concluded.